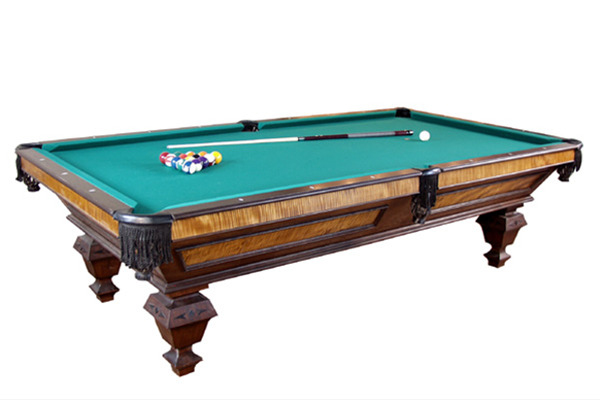 This award winning 4 1/2 x 9 foot pool table features 1” framed slate, mahogany case with walnut moldings and curly maple panels and rails, and mahogany legs with ebony appliqués. Winner of the 2005 Custom Woodworking Business Magazine Design Contest in the 'Specialty Items' category. Price on request. W 60" x L 110" x H 33"